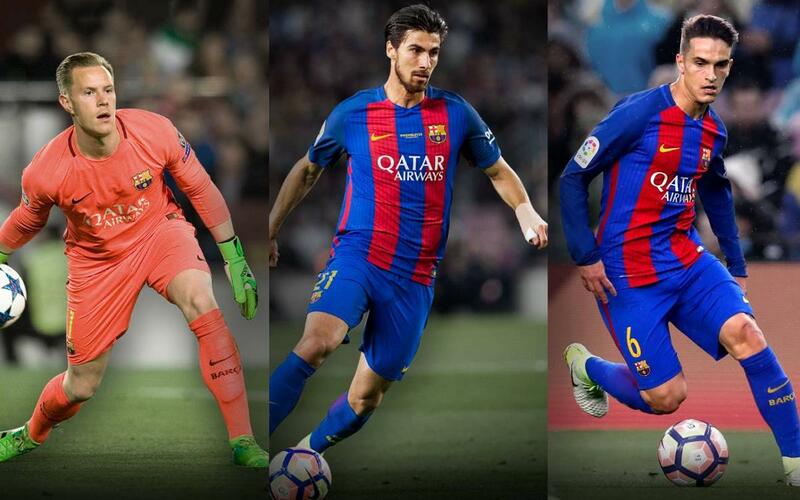 FC Barcelona goalkeeper Marc-André ter Stegen and the Barça midfielders Andre Gomes and Denis Suárez are through to the semi-finals of their respective international competitions. Ter Stegen helped Germany secure a place in the last four of theConfederations Cup, playing the full 90 minutes in both a 1-1 draw against Chile and a 3-1 win over Cameroon. He and his teammates will battle it out with Mexico for a place in the final. André Gomes also played 180 minutes in total, first in a 2-2 draw against Mexico, followed by a 1-0 win over host nation Russia. Portugal now face Chile in the other semi-final. Finally, Denis Suárez played 188 minutes across three group matches with Spain in the U21 European Championships: first defeating Macedonia (5-0), then Portugal (3-1) and also scoring the only goal in Spain's 1-0 win over Serbia. Spain face Italy in the semi-finals.